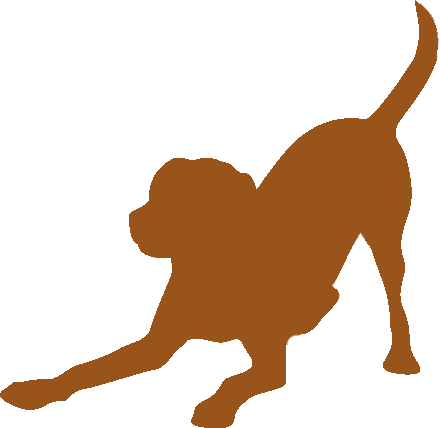 Kenya Labradors is lovingly owned by Christie and Randy Valdez, in Santa Margarita, slightly inland along the Central California Coast. With a lifetime of experience and dedication to many kinds of animals, we feel honored and blessed to be the home of amazing English-type Labrador retrievers, the best breed of dog in our opinions. 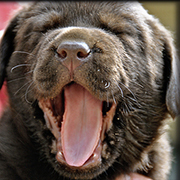 Kenya Labradors was named after our first Lab, Kenya de Café, whose photo is to the right on this page. Many years ago, our daughter, while she was working at a coffee café, wanted a chocolate Lab and we were all for it. The pup was the color of Kenya coffee, and so she was named. That amazing dog obviously made quite an impression on us, as we all became enchanted by the breed. Kenya Labradors naturally evolved out of this experience into what we are today. We breed these extraordinary dogs with one aim in mind: to produce the best possible all-around companions that exemplify the ideal characteristics of the breed — which not only conforms to the AKC standards, but also results in a dog well balanced in temperament, a pleasure to train, and a beauty to behold. Our Labradors are not just our hobby and profession, they are also our dear friends. We are as devoted to them as they are to us. 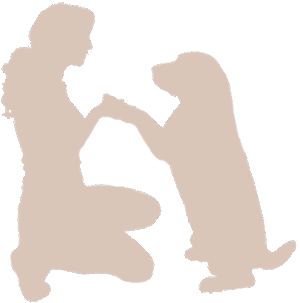 Together, we train and participate in many competitions, including obedience, agility, hunt, and show. In addition, we are proud winners of many AKC Canine Good Citizen® awards. As we are deeply committed to conscientious, humane breeding standards, we keep a relatively small number of Labs to show, compete and breed. Our home is located on 20 acres in the gorgeous Santa Margarita foothills on the California Central Coast. 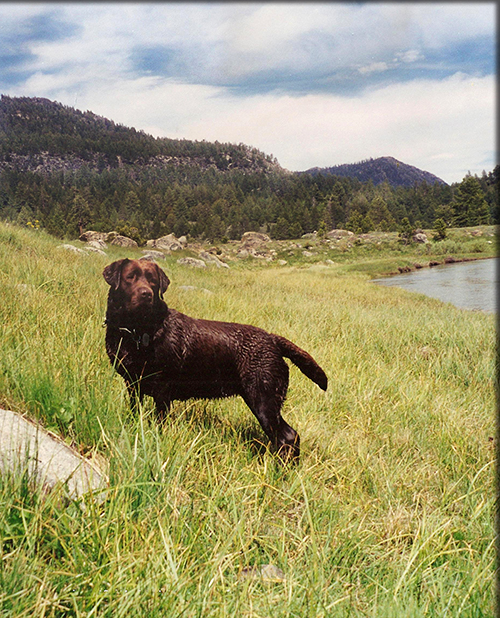 This allows every single dog to live and play on expansive grassy meadows and swim in natural ponds. In addition to this idyllic outdoor life, our dogs sleep inside our home. It is really something to see them cuddle together, forming one big Labrador rug. 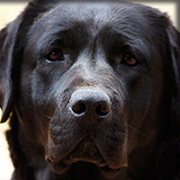 For brilliant show, hunting, sport, therapy, service, or home companions — Kenya Labrador puppies have the breeding to become the dog of your dreams. We invite you to meet and experience these remarkable dogs for yourself. Producing healthy, gorgeous, super intelligent Labrador puppies is worth every ounce of our effort. 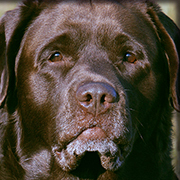 We believe that you must start with a great Labrador stud dog to produce the best puppies. The best Lab puppies must have an incredible mother, and we truly have some lovely ladies.